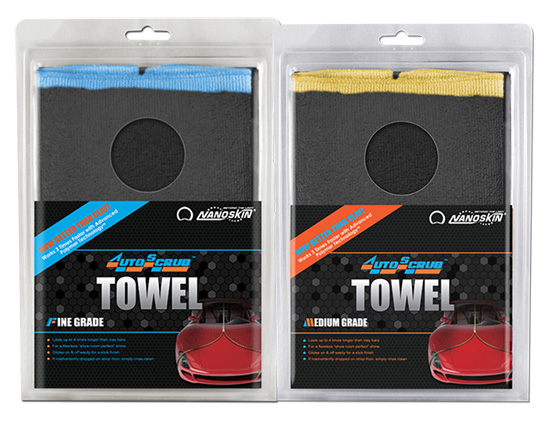 Nanoskin Autoscrub Towel 2-Pack Special. Make your life easy and produce better results with the Nanoskin Autoscrub Towel. 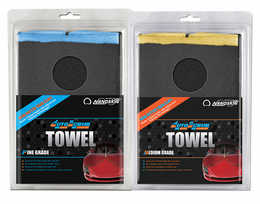 The Nanoskin Towel makes prepping your vehicle fast and easy. The Nanoskin Towel produces professional results with no skill needed. Use the Nanoskin Towel as a clay alternative for safe and speedy surface prepping on vehicles with over-spray and bonded surface contaminants paints. Towel measures 12" x 12" and can be used up to 100 times.